Polaroid film is still being made, at least for the moment. When everything else is pixels and algorithms and must be viewed on a phone or computer screen, analog media is real and tangible. It's just not so cheap or predictable. 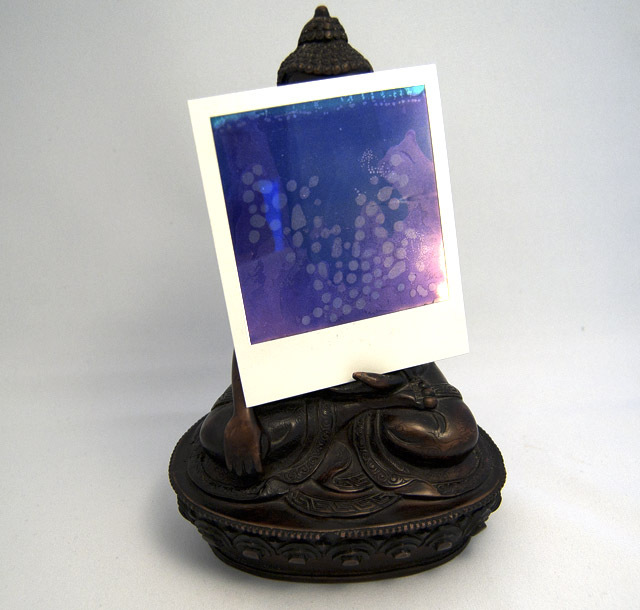 This was a mistake and instead of the black overexposed polaroid I expected, it turned blue. My friend Jeremy who has no time for rules said we should throw it in the freezer. Been too busy with other people's precious memories.